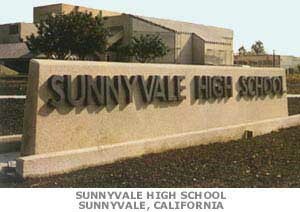 Welcome to the Sunnyvale High School Class of 1964 website. 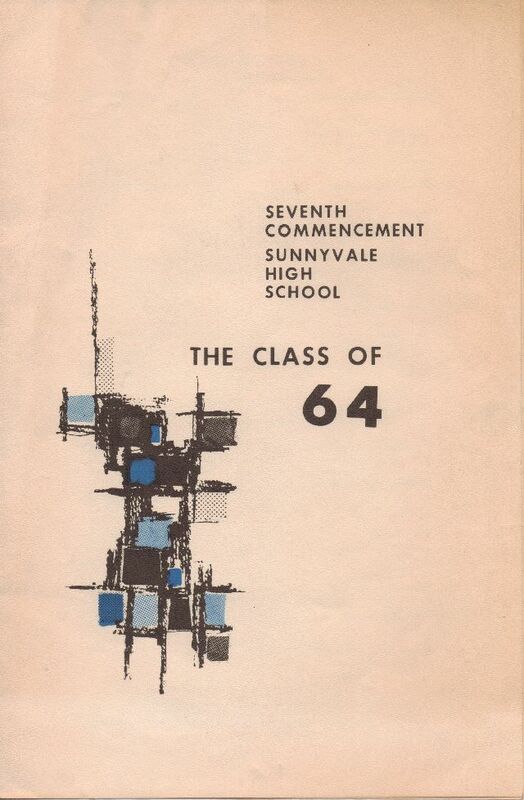 We invite you to "step back" with us into Sunnyvale history and re-live some of the images and ideas of the Class of 1964. 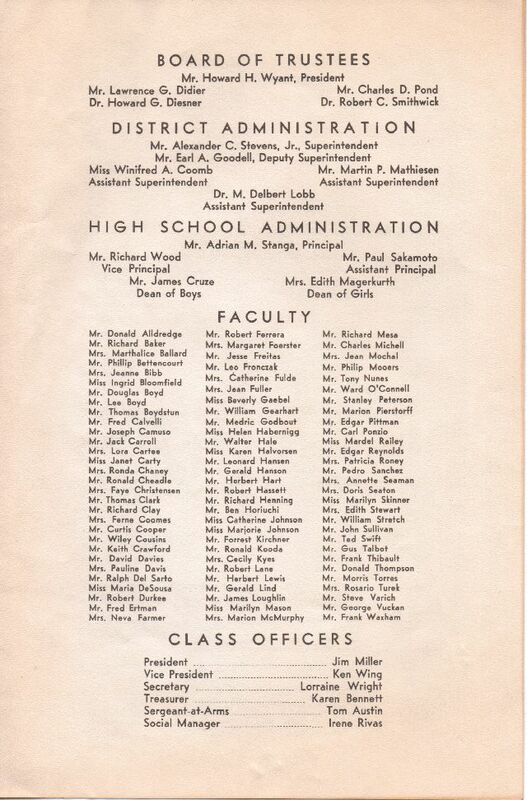 See our '64 Sabre (yearbook) and dedication from our advisor, the late George Vuckan. We would like to thank everyone who attended our 50th class reunion as it was "again" another great class reunion. Please enjoy our website & contact us with any thoughts or ideas for improvement. Three civil rights workers murdered in Mississippi during "Freedom Summer"
High School Football: Sunnyvale Jets beat Fremont Indians for the first and only time in California history. 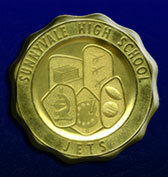 Sunnyvale High School scored the major upset of the Santa Clara Valley Athletic League season by defeating Fremont 21-19. Sunnyvale punched the winning touchdown with a drive of 69 yards. With first and ten on the 35 yard line, John Figueroa broke off left tackle and went all the way to score. The win touched off a wild celebration for the Jets as they swarmed onto the field and carried off Coach Jack Carroll. The coach singled out Figueroa, Frank Pak, and Tex Bondurant for defense and complimented Wayne Duncan and Marty Muir for offensive excellence. Concern in Britain over "brain drain," or the mass emigration of British scientists to the U.S. BASIC(Beginners' All-purpose Symbolic Instruction Code), an easy to learn high level programming language is introduced. 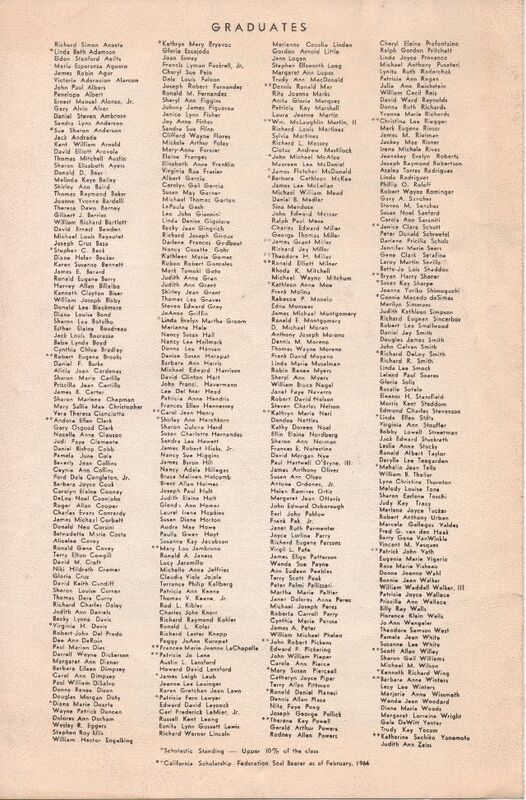 Fully Updated with Every Article from 1963-1964, Easy Scroll Viewing. Download Entire Skywriter Newspaper "Download will take a few minutes"
Panel Visually Enhanced and Resized. Next Mini Reunion Postcard Info added to Tab. 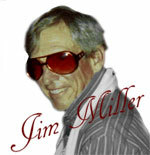 Several 50th Reunion Youtube Video Links added to 50th Tab. Link added to Download Entire 50th Reunion Event Photos! Most Reunion Slideshows removed, replaced by large photos for easy viewing. Redesigned Website Navigation and Pages. Better Web and Mobile Compatiblity. Youtube Channel and Facebook Group Links added to every page. New buttons and images created for esthetics. Removed and Replaced all Flash banners and graphics. 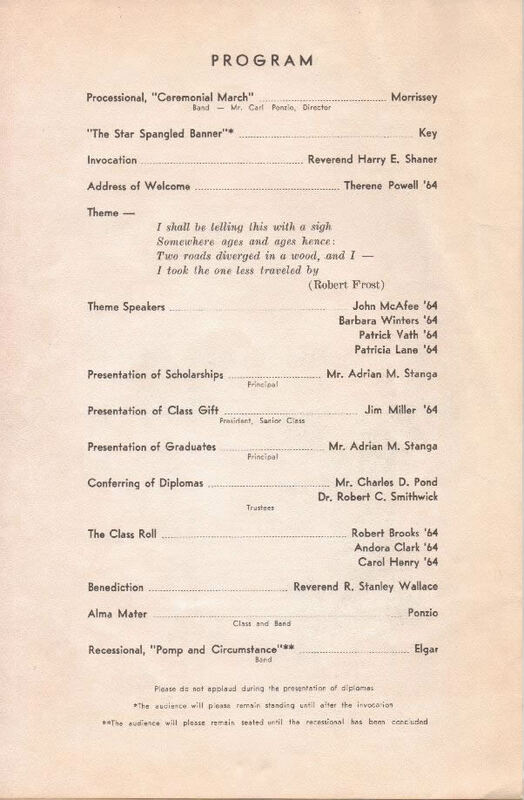 Slideshows, Movies and Photos are available on the Class Reunion Page! Watch all of our Class Videos and Subscribe to SHS64JETS Channel on Youtube! 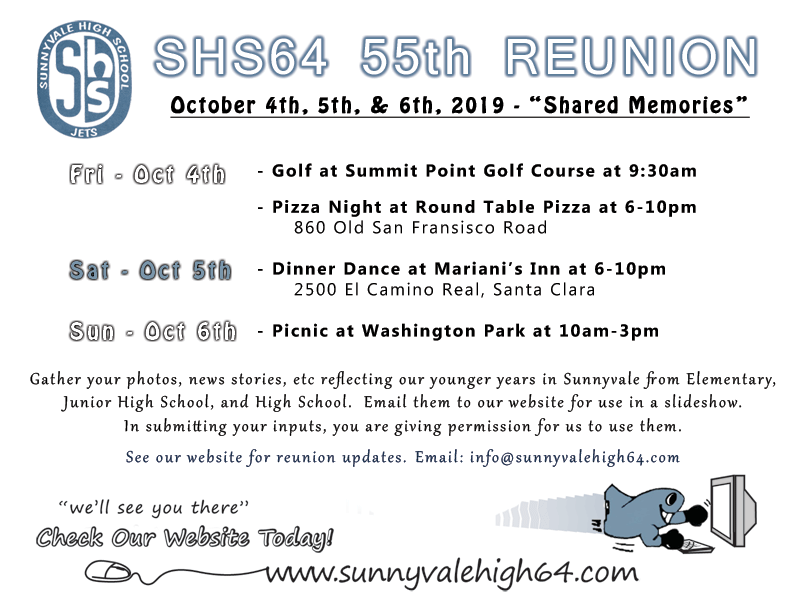 Click Here & Check Out Our Facebook SHS 50th Reunion Group! Our 55th Reunion Event Details!